One of the things that has been missing from the UWP and the Windows Store has been the ability for one application to extend another one and the Anniversary Update makes this possible. 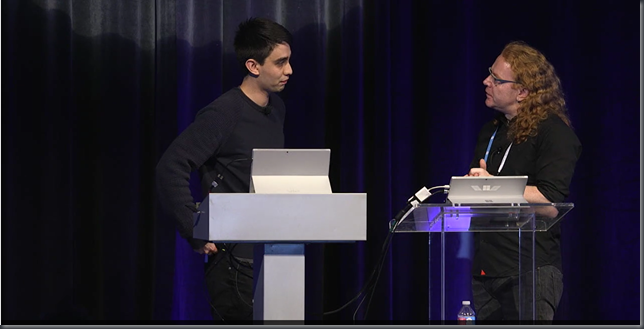 Perhaps the most obvious way in which this shows up is in the Edge browser which now has the ability to support extensions and I’d heartily recommend watching the (developer) session around Edge extensions here from the Edge Summit as hosted on Channel 9.
but that’s an Edge specific story whereas extensions are something that many app developers might want to make use of. Before getting to extensions, it’s worth remembering that on the UWP it’s already possible for one application to ‘invoke’ another via a few different mechanisms. Off the top of my head those might include. File associations – i.e. one application asks the system to launch a ‘file’ and the system invokes another app to do that. Protocol handlers – i.e. one application asks the system to launch a particular URI and the system invokes another app to do that with good examples of schemes being http, mailto, bingmaps, etc. and this revolves around the App that is the launcher passing data across to the launchee which the system then displays over the top of the launcher until the user has finished with it at which point the system can return any outgoing data from the launchee back to the launcher. Data is transferred using the ValueSet dictionary and there are possibilities for exchanging more complex data by passing tokens to files through a ValueSet by making use of the SharedStorageAccessManager where either side of the transfer can use the AddFile method to get a token for a file that the other side of the transfer can then get hold of by using the RedeemTokenForFileAsync method. What does have to be considered here is the ‘protocol’ for this communication as the launcher and launchee apps have to have enough knowledge of each other a priori in order to be able to communicate – the developer of the launcher has to know what to put into their ValueSet and what to expect back. Once again, the data that flows back and forth here between the consuming app and the providing app is modelled in ValueSets and, once again, that can include files. 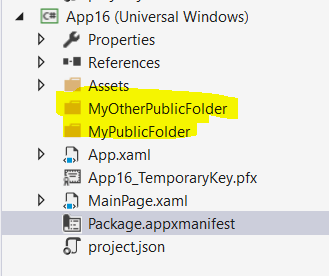 The package family name of the app that the service lives in. The ‘protocol’ of data that is to flow across the app service boundary in terms of the ValueSet of parameters and return values that get exchanged. It’s also worth noting that when you ‘plug in’ to Cortana, you do it by writing an app service and if you ever look at writing background code for the Microsoft Band you’ll find that you’re writing an app service there too so Microsoft 1st party apps are making use of this app service infrastructure. and can be useful for a ‘suite’ of apps that come from the same publisher that don’t need to use some of the more complex mechanisms described previously. 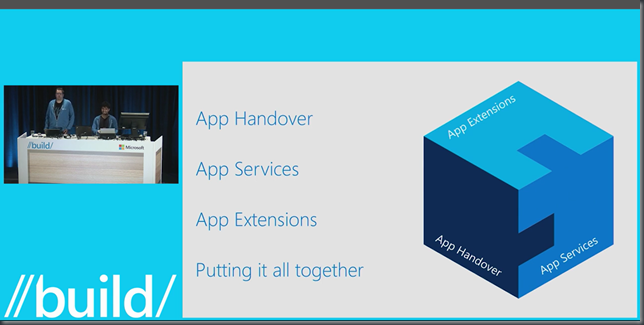 and I think the various bits that I described as ‘launching’ above are slotted into the section named ‘App Handover’ and then there’s a section on ‘App Services’ and the coverage is good with some good demos so it’s well worth watching if you’ve not been through those bits before. Around the 25m mark the video transitions into talking about the new app extensions support that comes with the Windows 10 Anniversary Update and from what I’ve seen so far this provides a fairly generic and lightweight mechanism whereby one app can contribute to another I wanted to try out a ‘hello world’ experiment with this and the remainder of this post is a write-up of where I got to. 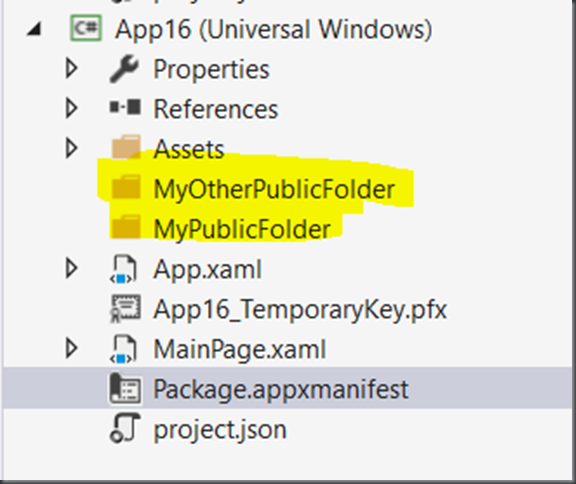 and it’s worth noting that the Category here needs to be set to “windows.appExtension” and that the attributes Name, Id, PublicFolder, DisplayName are all mandatory on the AppExtension element and, at the time of writing, Visual Studio does not seem to have UI for filling out these details in a manifest. Sure enough – initially my code finds 0 extensions of the two types that I’m interested in (“MyExtension” and “MyOtherExtension”) and then when I deploy the package containing the extensions it later on finds 1 of each type. For some of those, it seems fairly obvious as to what your code would do in a particular case but the PackageStatusChanged event is interesting to me as it provides the detail of the Package and then the Status property can be used to interrogate lots of properties around whether it is available or, if not, why it’s not available. See PackageStatus for the range of options there including the VerifyIsOK method. and we can use the Package property to get hold of things like the Logo for that package if we wanted to display it. Naturally, my two extensions here come from the same package and so their PackageFamilyName and InstalledDate properties are going to be the same. and so I could use this mechanism to grab whatever metadata has been made available about an extension and then use it to make decisions around where that extension is useful. So far, we’ve managed to get to an extension and grab some metadata about it but we’ve not really been able to do any extending as such but each extension has to have a PublicFolder property and so we can use a method on the AppExtension class itself to get hold of that folder and then grab content from it. and then I added a TextBlock named txtContent to the consuming app’s UI and wrote some code to try and populate it as/when extensions show up on the system and as/when they get uninstalled or changed. and that seemed to work reasonably well in the sense that when I deployed the app providing the extension my consuming app updated to read the text from the files that were being supplied and when I uninstalled the extension app my consuming app UI cleared itself out. Additional binary files containing the layout of levels for a game or similar. and so on but it doesn’t let an extending app add any additional code to the app that it’s extending. Know as/when extensions arrive and leave the system. Get hold of the package family name for those other apps as they arrive on the system rather than somehow knowing it up-front at build time. But I think this is still better than the app service situation today and there’s a demo of doing just this in the //Build video linked from the image above. I’d like to write my own just to try it out and I’ll perhaps do that in a separate post. I’d also like to think about whether this infrastructure gives any scope for dynamically loading code into the app being extended whether that is by loading up compiled code (e.g. an assembly) or whether it be by dynamically trying to compile code. I’m not sure on either of those yet so I’ll return to them too at a later point.